Sunsplash Vacation Homes are located in beautiful quiet communities. The vacation villas of Sunsplash are conveniently located in Central Florida, an easy drive from Orlando International Airport and downtown Orlando located just a few miles from the Walt Disney World® Resort and close to all other area attractions. We have many Restaurants all within easy driving distance from your villa. 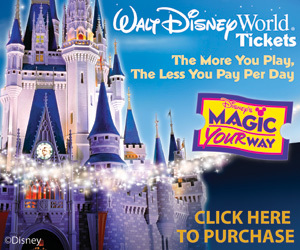 There is also convenient shopping and the Downtown Disney® Area and the AMC® Theatres complex at Downtown Disney® Pleasure Island. We also have fantastic Dinner Theatres such as Medieval Times, Arabian Nights, Pirates Dinner Adventure and Sleuths Mystery dinner show. There is also Championship golfing, Water parks, horseback riding, fishing, Animal parks and much more. A one hour drive to either the east or west will bring you to the glorious beaches along the Atlantic and Gulf coasts. Our homes are privately owned and kept maintained by our management team. We take pride in our customer service and fast response times. Sunsplash Vacation Homes has been in the Central Florida area for over 20 years. If you need any information, vacation planning, booking assistance or attraction tickets during your stay with us, one of our vacation specialists will be more then happy to help you. Our sister company J and M Management Services maintains all the homes that we rent. J and M Management was formed in 1989 and grew to be one of the most respected property management companies in the area. J and M prides itself on service and quick reaction time to any problems or guest concerns. We have our own maintenance team to take care of most problems and partner with licensed firms for problems outside our area of expertise.